1. How to use garbage matte with Ultra Keyer? It did worked as expected when I check 'Post multiply image' but it gave black edges. Also, It (spline node connected to 'Garbage Matte') behaved normally with Delta keyer. 2. How to connect splines' position to tracker without moving the spline? I set spline → Happy with the shape and position → Tracked something using 'Tracker' node → Connected spline's 'Center' to tracker's 'Offset position' (right decision?). The problem is that this operation moved the spline which I don't want. I can reposition it by selecting all the anchor points but it's not easy to redo when the shape is complex and you already spent time in positioning every single point. 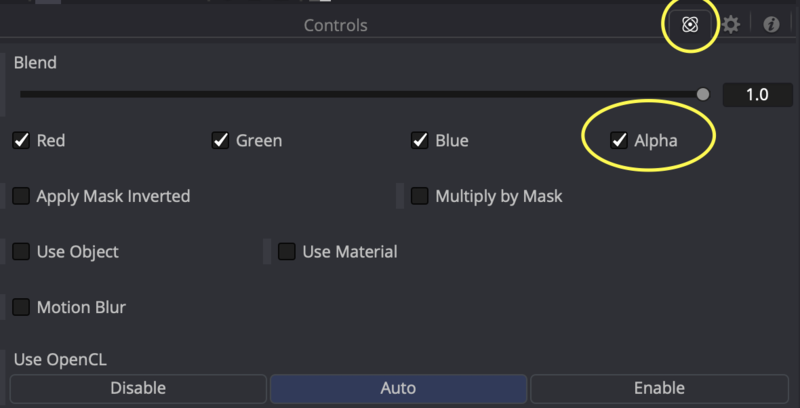 Also what's the difference between all those 'connect to' options (refer to attached images). 1. Uncheck Subtract background when premultiplying Ultrakeyer or you'll have double premultiplication. Also try Deltakeyer, I like it better. 2. Tracker Plus from Reactor has Set/Change reference time setting. Probably it could help. a) install Eyeon Legacy scripts from Reactor. Thanks! Ultra Keyer Problem Solved. I did what you said and applied that script to Transform node. It worked. 7 Splines are connected in chain and on the end is Transform node. Splines are moving with it (as expected) BUT.. When I connected 'Transform node OUT' to Delta Keyer's Solid matte... It works only for first frame.. After that splines doesn't affect Solid matte as if they aren't there. If I don't introduce Transform node then things work fine. I tried both. Nothing changed. If someone want to achieve this then is it the right approach? Logically speaking... I can't understand why it's not working. So you're piping the RGB out of the Tracker into the Garbagemask input? While in theory this should work, what happens if you add a BitmapMask to the GarbageInout first and pipe the XF into BitmapMask? I did the obvious workaround and applied tracker data to each of the 7 splines using the script suggested by Movalex that keeps the anchor point's position. But... it's still a workaround. I didn't tried SirEdric's and intelligent_machine's methods yet.. (since the job is done I ain't feeling motivated ). Well, the easiest way to prevent this in the future is by first doing your track and connecting the masks to the tracker *before* creating the masks. ie create an 'empty' mask --> connect to-->start clicking to create the mask.